Ever since the historic first free ascent of Yosemite’s intimidating Dawn Wall was broadcast on social media last summer, rock climbing has been having a moment. 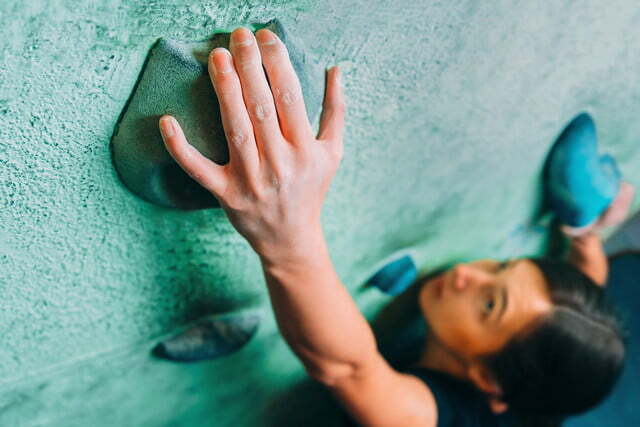 With indoor climbing gyms all over the country growing at a rate of 10% every year, you don’t have to face down a sheer granite cliff to get your intro to the sport. Climbing gyms have basic rentals – shoes, harness, and chalk bag – but if you are serious about getting into the sport, having your own gear makes a huge difference. If you’ve ever walked through the rock climbing section of an outdoor retailer, however, you know that it is an intimidatingly gear-intensive sport. So, where to start? Before you get started in buying your equipment, you should understand the differences between the two types of climbing offered in most indoor facilities. 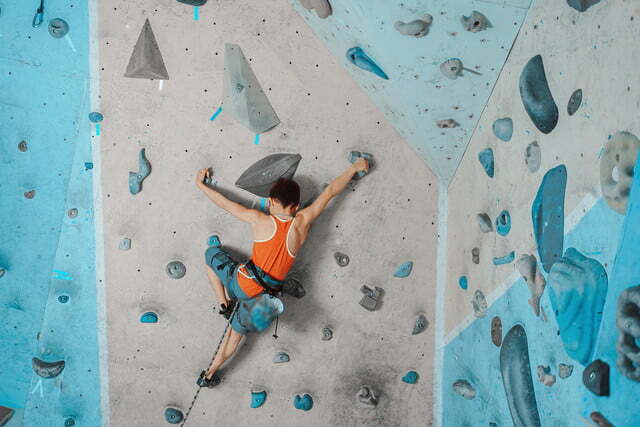 Bouldering is climbing on shorter walls without ropes. In bouldering, climbers stay lower to the ground, which lowers their chance of injury in case of a fall. Each climb is called a “bouldering problem”, or simply “problem.” In the United States, bouldering problems range in difficulty per the V Scale, with V0 being the easiest, and each number up indicating an increase in difficulty. 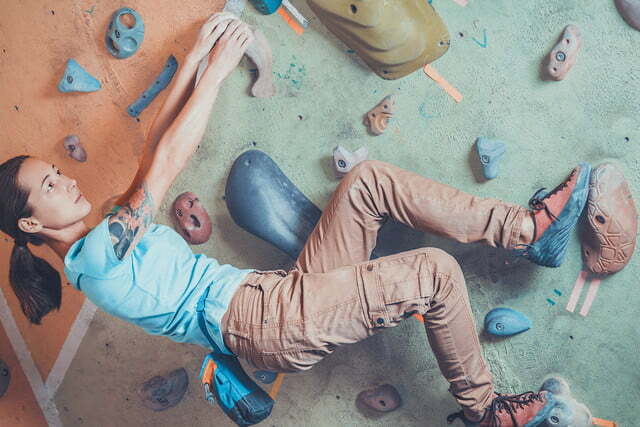 For many indoor climbers, bouldering presents a great introduction to the sport, since all you need to get started is a good pair of climbing shoes, and optional chalk and chalk-bag. Top rope climbing or “top roping,” is the basic type of rope-based climbing. In top roping, the climber is securely attached to a rope set up in an anchor system at the top of the climb. Mastering top roping is essential before moving on to other ropes-based climbs, such as lead climbing, in which the climber and the rope start at the bottom and ascend together. In rope climbing, each route is simply called a “route”. 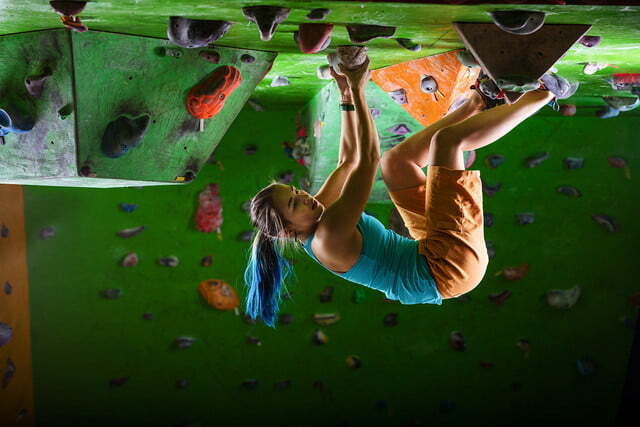 The difficulty ratings of top rope routes differ from the ratings in bouldering, divided by two numbers indicating class and grade. Class 5 indicates a vertical or nearly vertical wall that requires a rope, while grade refers to the difficulty level. Rope climbing routes start at 5.1 and currently go up to 5.15a, with each increasing number and letter indicating increased difficulty. Top roping usually requires a belay test at your local climbing gym to make sure that you can use the equipment safely, as well as a climbing harness and sometimes a belay device, in addition to climbing shoes and chalk/chalk bag.